The Edinburgh Fringe is almost upon us, and an abundance of TVO favourites are busy putting their latest shows together, ready for a month of performance, entertainment and (hopefully) sunshine. This year’s festival takes place between the 5th and 29th August, and we’re letting you know which TVO faces you should look out for if you happen to be up in Scotland next month. Next up is Cariad Lloyd, star of Murder in Successville, Crims and Crackanory who is embarking on her fifth year at the Fringe as part of improvised show Austentatious: An Improvised Jane Austin Novel. ‘Afroharold’ takes the stand to tell you why this is one improv show you’d be a fool to miss. With the artists we feature on The Velvet Onion, there are some who have been part of the core of what we do since the beginning. There are some who came in along the way as we worked out what we were doing. And others are more recent additions who we kept seeing lots of, and realised they were brilliant. Cariad Lloyd is one of the latter. Over the past three years, she has cropped up in a wide range of top-notch comedies on TV, including Toast of London, Cardinal Burns and Inside No. 9. She was, alongside other TVO faces, a regular cast member in Crackanory, and played put-upon prison guard Dawn in Adam Kay‘s Crims alongside Tracy Ann Oberman. Recently, she had a recurring part in the final series of Peep Show, and last year she was responsible for a viral smash when her Bad Blood parody with Jenny Bede (featuring Gemma Whelan and Alice Lowe) raised awareness of the fight against the Tampon Tax. But if you’re a viewer of Murder In Successville (and you should be), you’ll perhaps best know her as a whole host of barmy Successville citizens, from Darcey Bussell and Cheryl Cole in series one to Angela Merkel and Claudia Winkleman in series two. Lloyd began her ascent to fame with a solo character-comedy show at the Fringe, and has regularly performed as a double act with Paul Foxcroft as Cariad and Paul: A Two Player Adventure. She also frequently performs at the Comedy Store alongside improv legends such as Josie Lawrence, and this training is going to come in handy during this year’s Fringe. It’s safe to say Cariad will be busy this August. Not only is she starring in Austentatious: An Improvised Jane Austen Novel, with the Austentatious crew, but she’s also directing Lou Sanders’ improv show with Vanessa Hammock, Liars’ Club. 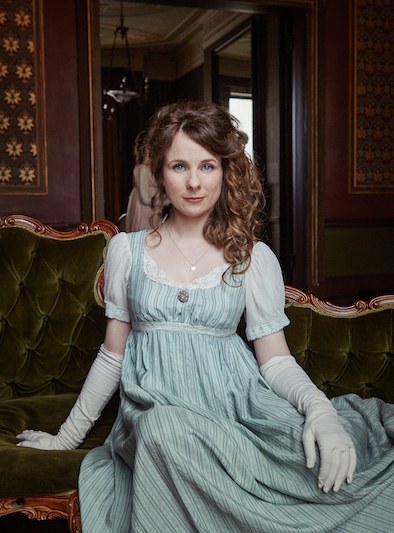 For the uninitiated, Austentatious involves the team improvising a new show each day – more specifically, a riotously funny new Jane Austen work, based on nothing more than a title suggested by the audience. The show is performed in full Regency costume with live musical accompaniment, and has evolved from a Free Fringe show five years ago to a now in-demand crowdpleaser at a much larger venue. The run was a sell-out last year, so we suggest you get your hands on tickets asap! In addition to performances every day, Cariad and crew also have a ‘Crossentatious’ special performance in store on Wednesday 10th August at 11.45pm. This one-off performance, in which the team will be cross-dressing, is in aid of Waverley Care, and tickets for this can be found here. 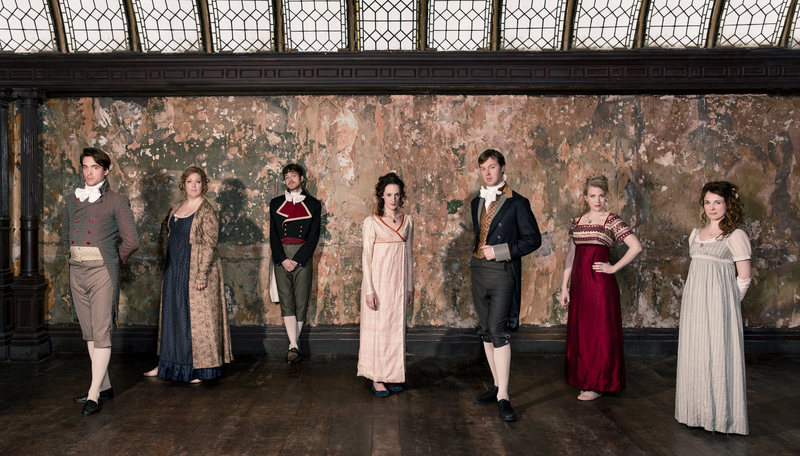 Austentatious: An Improvised Jane Austen Novel is at Underbelly, George Square at 13:30 from August 5th to 21st. Tickets are yonder hence.